These are two of the hottest new 360 cameras coming this summer and both shoot an amazing 5.7K full 360 video. As of now the best 360 cameras (under $2000) could only shoot 4K resolution 360 video, which was tolerable, but still appears low quality compared to modern HD footage. Shooting in 5.7K resolution should go a long way to improving the appearance of 360 video and it’s great that we already have two 360 cameras to choose from, but which is the best? Take a look at the comparison table below where I list the specifications of both cameras, then we will take a look at some example footage and finally determine which is the best 5K 360 camera. 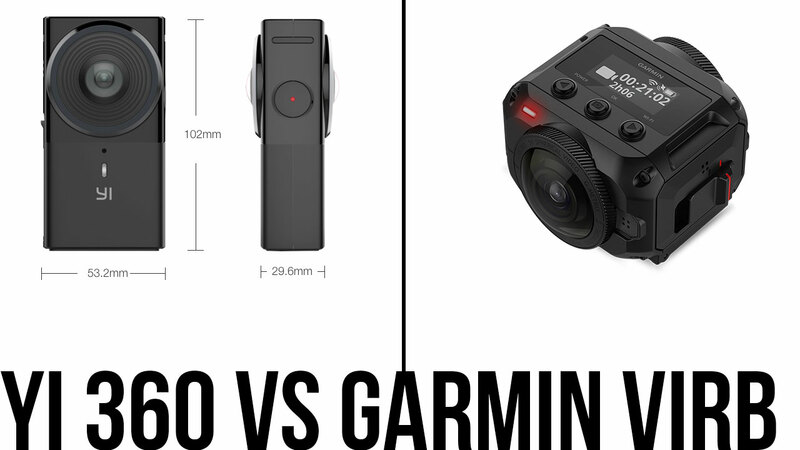 So which is the better camera, the Garmin 360 or the Yi 360 VR? Looking at the stats on their own I’d have to give it to the Garmin VIRB. Both can shoot in 5.7K but the VIRB has so many other features, such as augmented reality overlay, water resistance and 4K live stream. The VIRB also has a key feature that is missing from the Yi 360 VR, stabilization options. The VIRB has 3 stabilization options that keep your 360 footage looking smooth which is extremely important when it comes to 360 video, this is applied using software in post production. Looking at the example videos, it’s pretty clear that the VIRB 360 produces better quality video overall, but there isn’t much in it. Even though both shoot at the same 5.7K resolution, the colors, stitching and smoothness of the image appears better on the VIRB video. Saying that, the video quality of the Yi 360 VR is very good and far better than most other 360 cameras. So all in all the VIRB seems to be the superior device, however it’s also twice as expensive as the YI 360 VR. 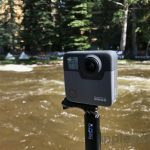 At $700 the VIRB is among the most expensive consumer 360 camera ever, but it’s also one of the best. If you want a durable 360 camera for shooting outside activities or live streaming at the highest quality I would fully recommend the VIRB based only on how many sensors and features it has. If you’re not willing to pay the higher price but you still want a 5K 360 camera, albeit with some scaled back features, the YI 360 is a very good value for money option. I’m interested in buying a 360 camera to male photos for virtual visits. I tried 2 Kodak pixpro 360 4k and a gear 360 17 but i have exposure problems inside and i can’t easily change setting on my pixpros, as i use them together and the app is only available for 1 cam. I also find that quality of photos is not so good. Which cam would you suggest for such use ?